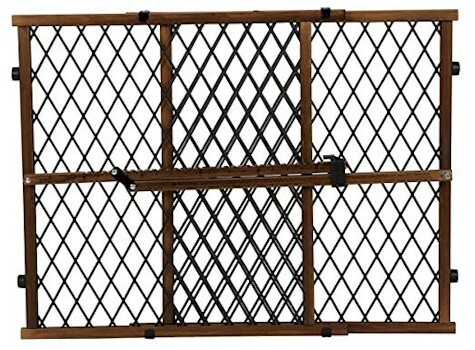 Amazon has got this Evenflo baby gate in dark wood for $14.99 with free Prime shipping, the lowest recorded Amazon price on this item. While it got only an average 3.2 stars out of 5 stars, I read the negative reviews and it looks like most of the negativity stems from not knowing how to properly set up the gates. We have two sets of these gates and they are terrific, easy to use, and sturdy, and this is one of the lowest prices I've seen on any baby gates, period.